Learn why it’s important for you to have a special needs trust for your child with a disability, and how you can start funding it immediately. Rachel Stanford’s son Miles is 10, and has a developmental disability caused by a rare genetic syndrome called Cri du Chat. Miles was also diagnosed with ASD. Rachel describes Miles as being impulsive, with no sense of danger, non-verbal and sensory issues and, likely, will need lifelong care. “Right after Miles was diagnosed, my husband and I knew we had to do something to provide for his future,” says Stanford. Rachel knew that she and her husband, Matthew, couldn’t leave money directly to Miles without jeopardizing access to government benefits. So they hired an attorney to prepare a “special needs trust” in which money could be set aside for Miles’ care without risking the loss of benefits he’d otherwise be entitled to. A trust is an arrangement where one person (the grantor) gives assets, such as cash, investments or real estate, to a trustee. The trustee manages the assets on behalf of someone else, who is called the beneficiary. The assets set aside in the trust by the grantor is not directly owned by the beneficiary, but instead the beneficiary benefits from the assets in the trust pursuant to the terms of a written trust agreement. A special needs trust is a particular type of trust designed for a person with a disability who is likely eligible for government benefits, such as Supplemental Security Income (SSI), Medicaid or subsidized housing. A person with a disability may not qualify for these benefits if they own assets in their own name. Because the beneficiary has no control over the assets, they are ignored when determining eligibility for government benefits. The trust agreement for a special must be carefully worded in order to preserve eligibility for government programs. For example, the trust must state, among other things, that is intended to provide “supplemental and extra care” beyond that which the government provides, and that it is not intended as a basic support trust. Paying for medical and dental care, equipment, education, treatment, rehabilitation, eye glasses, transportation (including vehicle purchase), or insurance (including payment of premiums of insurance on the life of the beneficiary), essential dietary needs, spending money, electronic and computer equipment, vacations, athletic contests, movies, trips, money with which to purchase gifts, payments for a companion, and other items to enhance self-esteem. Do I need a lawyer to set up a special needs trust? You are not required to hire a lawyer to create a special needs trust. There are books and online resources that can guide you through the process. However, the creation of a special needs trust may also involve updating (or creating) a will, and thinking through some difficult questions about alternate trustees and how to provide for siblings. Often, people find the process to be a bit more complicated than they are comfortable taking on themselves and end up hiring a lawyer. This was the case for Rachel Stanford, who is an attorney herself. If you hire a lawyer, don’t be afraid to shop around. 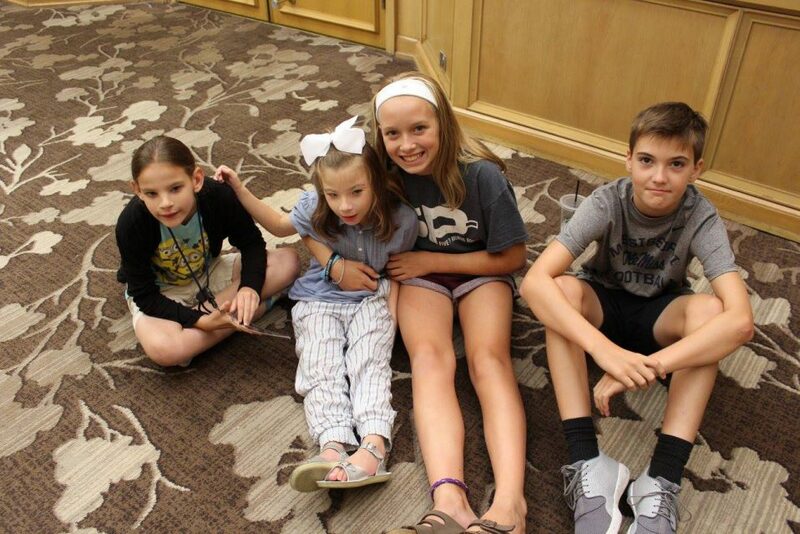 The process of drafting a special needs trust may be too difficult for you to do on your own, but the reality is, the work is form-based and generally requires minimal custom drafting. The value in hiring a lawyer is for them to ask you the “right” questions, so you create a plan that works best for your particular family situation. But, for a skilled attorney, this shouldn’t take a lot of time and, once done, a paralegal can make quick work of the drafting. Look for a lawyer who will work for a flat fee, as opposed to one who works on an hourly basis. Expect to pay between $500 to $1,500 just for the special needs trust. If the trust is prepared as part of an overall estate plan (with a will and family trust) expect to pay between $1,500 to $3,500. Unless you have a very complex estate situation (lots of assets, blended families or multiple business interests), if you get prices that are more than $3,500, keep looking. Setting up a special needs trust is the easy part…funding a special needs trust can be a whole other challenge. In the same way many families struggle with saving for retirement, they can struggle with setting funds aside for a trust. The key to success is starting early. Families with younger children often purchase life insurance products to fund a special needs trust if they should die. Term or “second to die” life insurance policiesare inexpensive to purchase when you are young and healthy, and can be a good way to make sure your children are cared for (financially), in the event you die unexpectedly. Term policies end after a fixed period of time, so get a policy with the longest term you can afford, because it will be much more expensive to renew a policy when you are older. Parents also save money over their lifetime, same as the would for a retirement account, which is then either deposited with the trust, or transferred to the trust after they die by operation of their will. Trust assets don’t have to be limited to cash or securities. Some families purchase real estate or transfer interests in a family business that can pay long term rent or dividends. 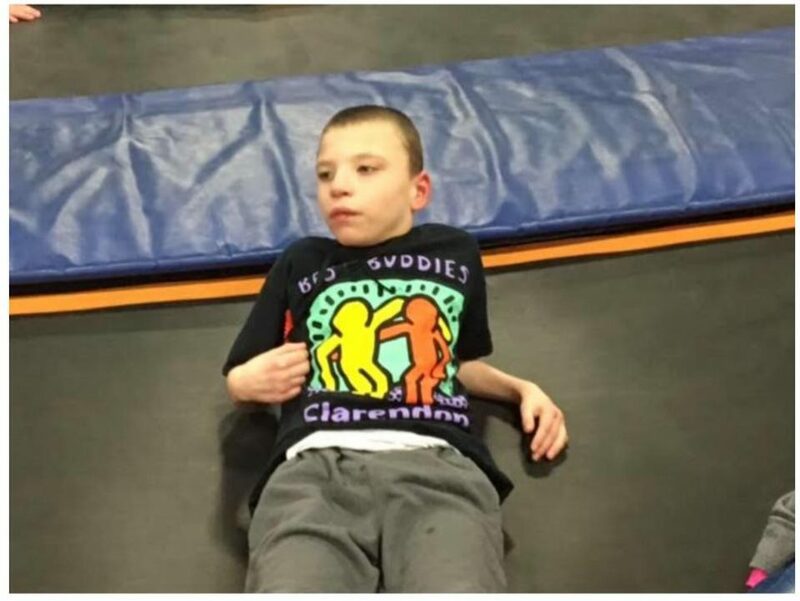 California mom, Denise Lansford is co-trustee with her husband of a special needs trust for their son Jason, an adult child with Cri du Chat. “Jason’s grandfather had his own company and left shares in the family business in a special needs trust for him,” says Denise. Dividends from the Company are paid to the trust, which Denise uses to buy things for Jason’s care that government assistance doesn’t cover, like taking Jason and a companion on a vacation. Commercial property manager Solomon Green manages a commercial building with multiple retail rental spaces in Deland, Florida. The building is owned by a special needs trust that was set up by a couple to provide for their daughter, who has a developmental disability. The daughter is now in her 60’s and the parents long deceased, but the trust receives lucrative rent checks monthly. The parents purchased the building decades ago. Over many years tenants’ rent paid off the mortgage, and the building, which is now debt free, generates a substantial income with very little expense. “It was a smart investment,” says Mr. Greene. Sometimes the hardest part of creating a special needs trust is overcoming the inertia of getting started. As with all estate planning, the process of dealing with your immortality is morbid, and a subject many of us would simply like to avoid. But unless you are independently wealthy, the best way to make sure your child is provided for in the future is to start early and use the benefit of time to build assets or income streams. If it’s something that’s been on your mind, get started today! Stephen Furnari is a Florida attorney and the founder of Guardian Project, which provides free resources for parents seeking guardianship for a child with an intellectual or developmental disability. Stephen lives in Flagler Beach, Florida with his wife Kristi (who serves on the Board of the 5P- Society) and three daughters, including 10 year old Katie who is affected by the disorder. 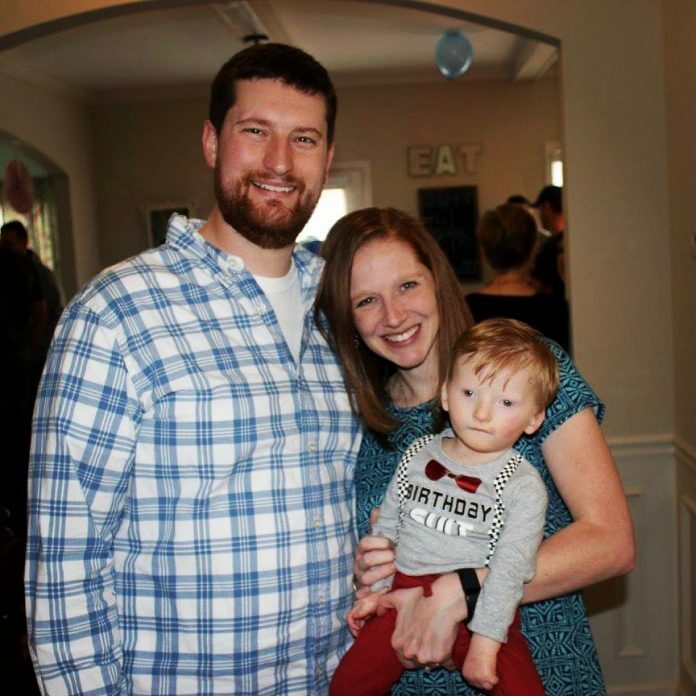 Brandon and Christina Brown were overjoyed to be first-time parents. Like most, they wondered if their baby would be a boy or a girl, and they hoped he or she would be healthy. The young couple welcomed Graham Timothy to their world on St. Patrick’s Day, 2016. All seemed well at first, but then came a string of health problems that worried the young couple. Graham began to have trouble with feedings. He was diagnosed with acid reflux and milk protein intolerance and was referred for feeding therapy. Their feeding therapist at Pediatric Boulevard in Indian Trail noticed Graham had general muscle weakness and recommended physical therapy. The physical therapist was concerned that Graham’s eyes were delayed in their ability to track movement. As articles come in for Awareness Week, May 1-7, we will post those here for you to view. On the wall of the Losen’s Mukwonago home is a black frame with the saying, “Good things are going to happen.” Underneath the picture sits Evelyn, 7, and Marian Losen,5, snuggled on a beige chair. Nearby their brother Jacob,9, lays on the floor with his iPad, his bright orange tennis shoes are sticking out from under him. Is Guardianship Appropriate for Children with Cri du Chat? 5p- Syndrome is a chromosomal deletion disorder resulting in a wide spectrum of intellectual and developmental abilities. 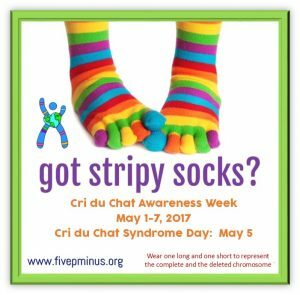 Each year in the United States, approximately 50 to 60 children are born with 5p- Syndrome, also known as Cri du Chat Syndrome. These individuals will likely need a lifetime of support. 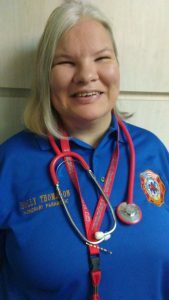 Our Society is a support organization that works diligently to spread awareness of the syndrome and provides valuable information, education and support for families, educators, and medical professionals in order to maximize the quality of life for those with 5p- Syndrome. Join us.